Archaeological Excavations – ΑΤΤΙΚΟ ΜΕΤΡΟ Α.Ε. The construction of the Metro, a vision of decades for the city of Thessaloniki, constitutes, on the one hand, a difficult endeavor and, on the other hand, a challenge, since a major technical project must be constructed in an urban environment abound in cultural treasures. The major unified archaeological excavation ever performed in Thessaloniki – expected to cover an area of 20,000 square meters in total – is about to be effected in view of serving the METRO construction needs. Utilizing its valuable experience from the archaeological excavation activities (79,000 square meters in total) effected for the construction of ATHENS METRO, ATTIKO METRO S.A. made the proper modifications to the technical design for THESSALONIKI METRO. The new design of this project foresees lowering of the tunnels underneath the archaeological layers at a depth ranging from –14 up to –31 meters (the initial provision was –7 up to –09 meters) in an effort to avoid any unpleasant entanglements with the execution of the Project. Based on the special study compiled by archaeologists for THESSALONIKI METRO, encountering archaeological finds in the section extending from NEOS SIDIRODROMIKOS STATHMOS to PANEPISTIMIO is very likely; however, antiquities are expected to be revealed at a higher rate in the part of Thessaloniki situated inside the city walls, i.e. from Demokratias Square up to Sintrivani. Three Stations are characterized as “high archaeological risk” ones (PLATEIA DEMOKRATIAS, VENIZELOS and AGIA SOFIA Stations), while another three Stations as “medium archaeological risk” (NEOS SIDIRODROMIKOS STATHMOS, SINTRIVANI and PANEPISTIMIO Stations). However, as the experience gained from the archaeological excavations conducted in the framework of the execution of technical works has taught us, due to the multiple interventions and modification works that settlements have undergone throughout the centuries, excavations often hold surprises for the archaeologists since archaeological finds can be encountered when least expected and vice versa! To crown its unhindered and effective cooperation with the Ministry of Culture and the Department of Antiquities, ATTIKO METRO S.A. signed in July 2006 a Memorandum of Understanding and Cooperation in view of “facilitating, systematizing and accelerating the archaeological works”, and assumed the overall expenses of the archaeological work, from the initial stage of the excavations to the final stage related to the display of the archaeological finds in central Stations of the network. Today 300 persons of all specialties are engaged in the archaeological excavation works whose duration shall range from 6 months to 2 years depending on the depth, the significance and the density of the archaeological finds. 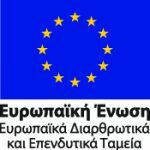 It is anticipated that the overall expenditure for the archaeological excavations to be performed in the framework of Thessaloniki Metro Project shall be over 75 million EURO. ATTIKO METRO S.A. in cooperation with the Ministry of Culture shall display the most significant archaeological finds of the Project in especially configured areas in the central stations of the network. Therefore, the benefit from the construction of the Project shall be double for the city of Thessaloniki: speed, safety, comfort and reliability using the best public transportation mode and invaluable knowledge about our cultural heritage. In the framework of Thessaloniki Metro construction, the 9th Department of Byzantine Antiquities undertook the task of supervising the archaeological works carried out at Aghia Sofia and Venizelou Stations, which are two very interesting in terms of archaeology stations, since they are located in the center of the Byzantine metropolis where a significant number of monuments are still standing, as well as at Dimokratias Station and the Branching to Stavroupolis, to the west of Chrissi Pyli and within the area of the western graveyard , which, being located outside the city walls, are characterized as of medium interest in terms of archaeology. After the old-Christian Basilica was revealed, a part of Sintrivani Station also fell under the responsibility of our Department. The Byzantine Antiquities Department’s involvement at Sintrivani Station and the Branching to Stavroupolis was completed in January 2012. Given that the archaeological excavation works are carried out in areas that have not been disturbed by the subsequent building activities, because the stations’ shells are normally located beneath the pavement of the present day Egnatia and Monastiriou streets, archaeological relics are being revealed in successive layers, which shed light to pictures of the city, thus partially recomposing the city’s life throughout its multi-century historical course. At the north section of Aghia Sofia Station the archeological excavations revealed an ancient complex dating back to the late antiquity period, which was in use for a long period spanning until the late 6th – early 7th century. This is a part of one of the main road arteries on axis A-D, that was revealed for a length of at least 72,80m. The road is paved with marble slabs and delimited by marble curbs, while a short distance before its junction with the vertical road at the point where the present day Aghia Sofia Church is located this road is widened and forms a slab-paved square with a fountain which used to quench the thirst of travellers and residents. This complex is supplemented by a colonnade, but presently only a strong pillar remains visible, preserving in loco seven bases of columns of the 4th and 6th centuries and delimiting the road axis to the south and designating it as via colonnata. From the buildings on the south building line that existed during the old Christian era, only their facades and some door openings were identified. A complex of brick sewage pipes discharged into a large cross-section domed pipe transversely intersecting the current day Platonos street, while more clay and lead pipes constituted part of the city’s water supply network. Within the boundaries of Venizelos Station, the same central road axis of the Byzantine era city is revealed, but this time with an earth or gravel pavement. The exposed Avenue is found to intersect throughout its width (5.50m.) with two vertical roads. Around these roads, there are densely built blocks constituting the neighbourhoods of the city’s Byzantine open-air market. Shops and workshops are facing the road, so that products are readily visible and sold. A multitude of minor artifacts and jewelry, such as pendant crosses, glass and copper bracelets, copper -mainly- and more rarely silver rings are witnessing the commercial character of the area in time, with the emphasis mainly placed on the trading of silver-gold artifacts. The archaeological finds revealed at Dimokratia Station refer to the “extra muros” western open area of Thessaloniki, which partially retains it burial character up to the old Christian era. During the old Christian era, at the boundaries of the ancient graveyard, just outside Chrissi Pyli, partially located on the relics of a large storage complex dating back to the late antiquity era, an old Christian church was found, along with a burial structure to the south. It seems that this complex was destroyed in the early 7th century, possibly during the Slavs invasions. During the Ottoman period, the area acquires its fully commercial nature along the axis of Monastiriou street where inns and warehouses are build.